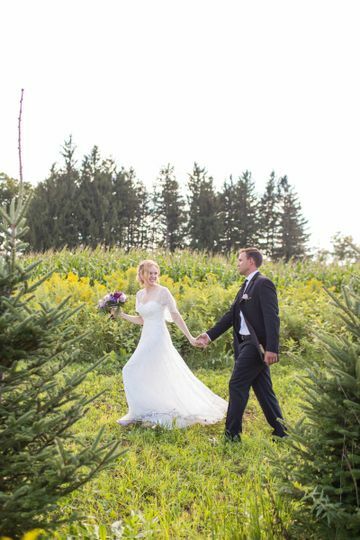 The grounds of the Worthington Inn are a wonderful site for your late May to October wedding celebration. 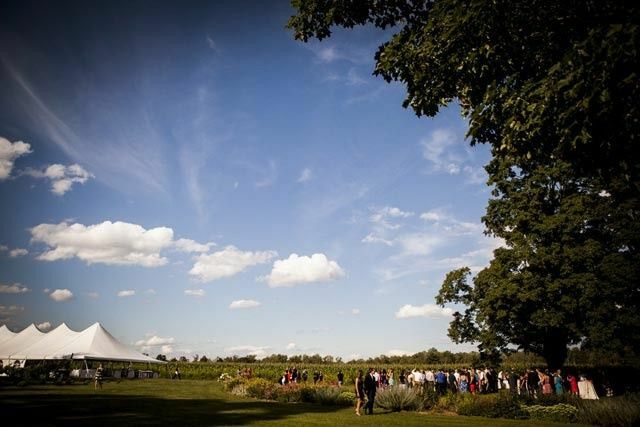 The verdant gardens of the farm will provide a lovely setting for your special day, imbuing it with beauty and symbolism. Ceremonies are held outside, but the Inn's bed & breakfast is available for dressing rooms and accommodations (must be reserved in advance). 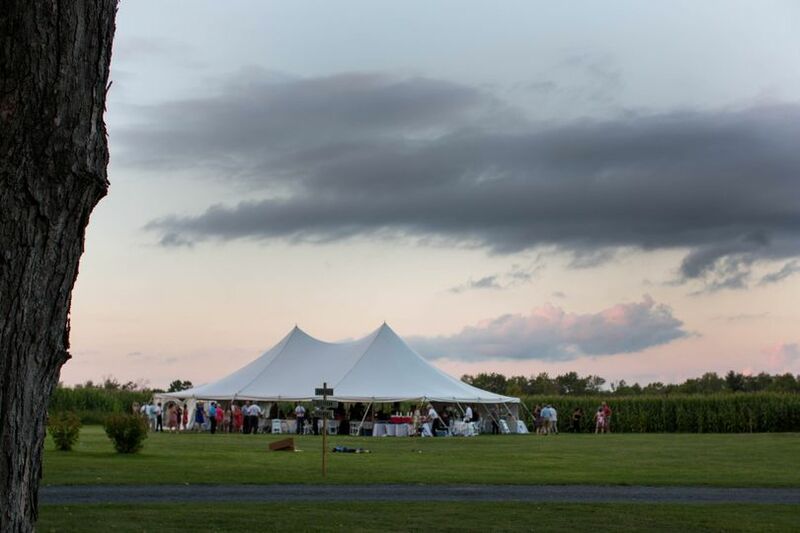 Our spacious lawn and fields offer ample room for large events. The perennial gardens ensure a beautiful setting late spring through fall. The site can be reserved for three days to allow for convenient setup and breakdown. Please note: the Inn is a bare facility. All tables, chairs, linens, dinnerware, tents and bathroom facilities must be rented. 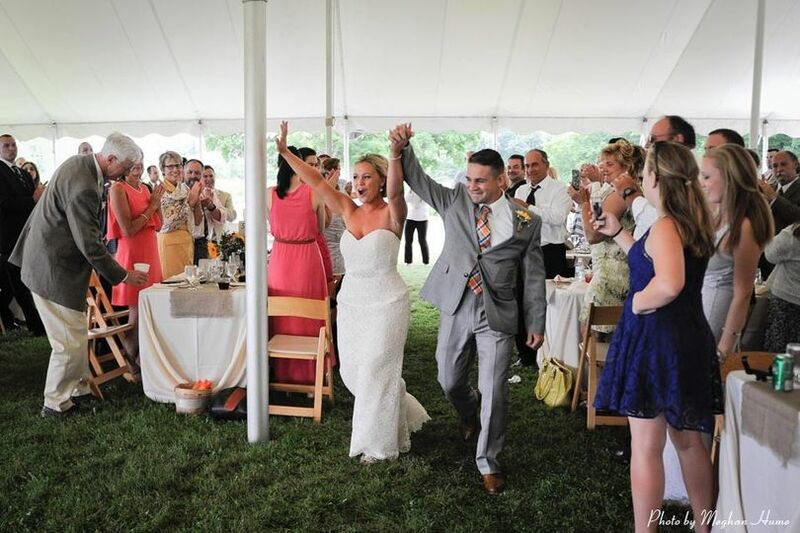 The typical cost of a wedding at the Worthington Inn is $1500-2000, with a maximum fee of $3500-4000. The actual cost will be based in part on the size of the wedding. 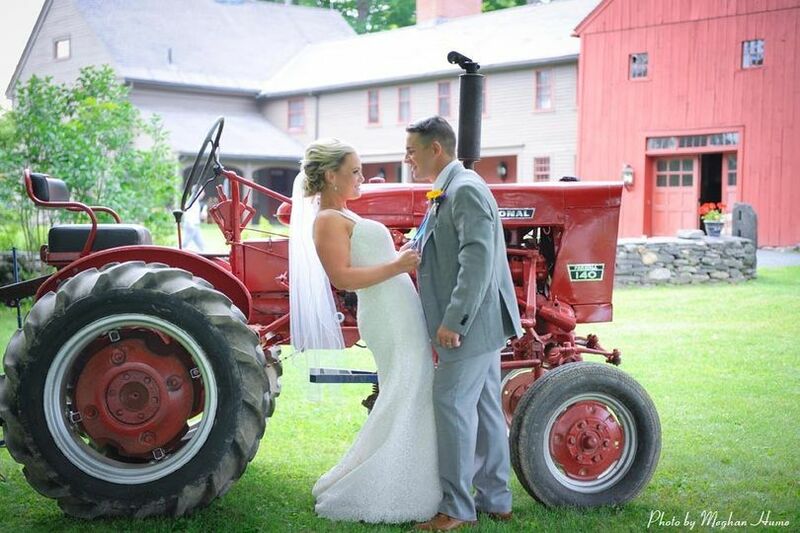 When we visited the Worthington Inn, we knew immediately that it was the perfect venue for our wedding. It is a beautiful location and it was always relaxing to walk around and envision how we would set up for the day. It was a pleasure to work with Deb at the Worthington Inn. She was very professional and we appreciated receiving her advice as we went through the planning process. Deb honestly wanted us to have an amazing time on our wedding day and loved to share stories about other weddings at the Inn. We hired the caterer that Deb recommended and the food was amazing! We clicked with Deb and the caterers instantly and we appreciated being able to bounce ideas off of them and learn from their years of experience. Our wedding day went perfectly. 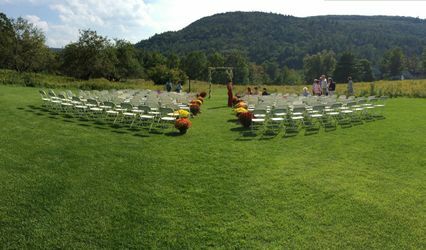 It was a beautiful day and all of our guests loved the location. Deb and her team were there to help with coordinating parking for our guests and to help if there were any problems or if we had questions. 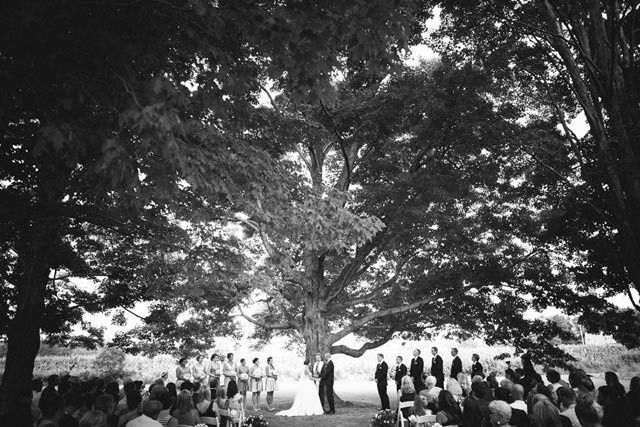 Our ceremony was under several large trees on the property and it felt like a natural chapel. We set up lawn games for our guests and they all throughly enjoyed the relaxed backyard atmosphere. 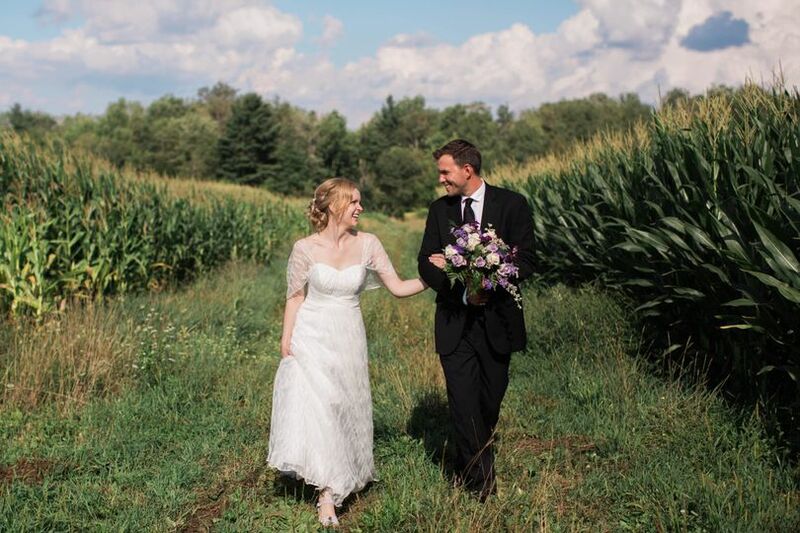 We had plenty of beautiful places to take pictures - the hoop houses, corn field, asparagus field, and trees were all stunning. 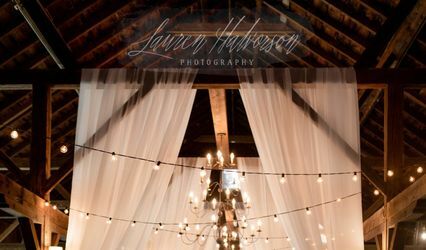 The historic barn was also a great setting for our first look pictures. Everyone loved the gorgeous flower garden and Deb even added strings of patio lights to the garden, which was a perfect touch for the last few hours of the reception. We would recommend this venue to any couple that wants the beauty of an outdoor venue and the flexibility to personalize their wedding day. My now-husband and I feel lucky that we were able to have our wedding here, for all the reasons noted in our rating: quality of service, responsiveness, etc. Deb was fantastic to work with - she accommodated our requests and always promptly responded to our questions and needs. She has a friendly and professional demeanor that we both really appreciated. She also (thankfully!) helped us troubleshoot and find solutions when some of our vendors gave us some last minute problems. Deb worked with us so we could tailor the wedding to our particular expectations and we had exactly the kind of party we wanted. Our post-wedding day home-cooked breakfast was delicious and relaxing. The site itself is simply gorgeous and I could not have imagined a more stunning setting. Now that I have my wedding photos, I wish I could go back and re-live the day to experience it again! 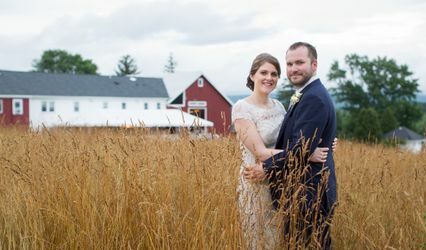 If you're looking for something very cookie-cutter and easy (e.g., the venue does everything for you), then I would not recommend the Worthington Inn. If, however, you want a farm-like setting with charm, and are willing to either do the work to coordinate the vendors (or pay someone to do it for you), then I would highly recommend it.